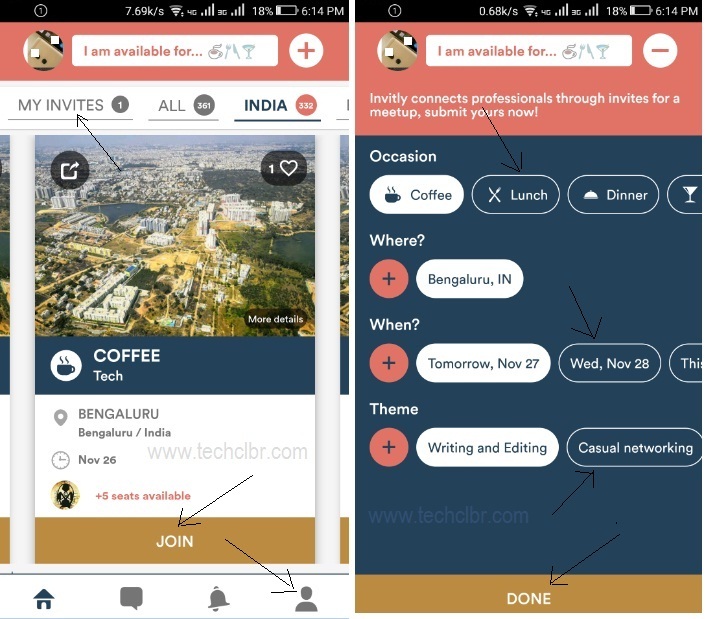 Invitly, a Paris based App company has expands in India to make professional networking efficient, fun and easy! Would you like to know what is Invitly App? How this app will be helpful for your startup or business? From where to get Invitly app etc.? 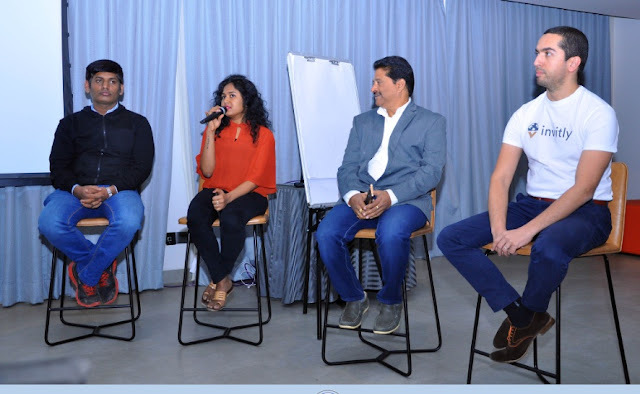 If yes, read this article for more detail on this app and its ample benefits. 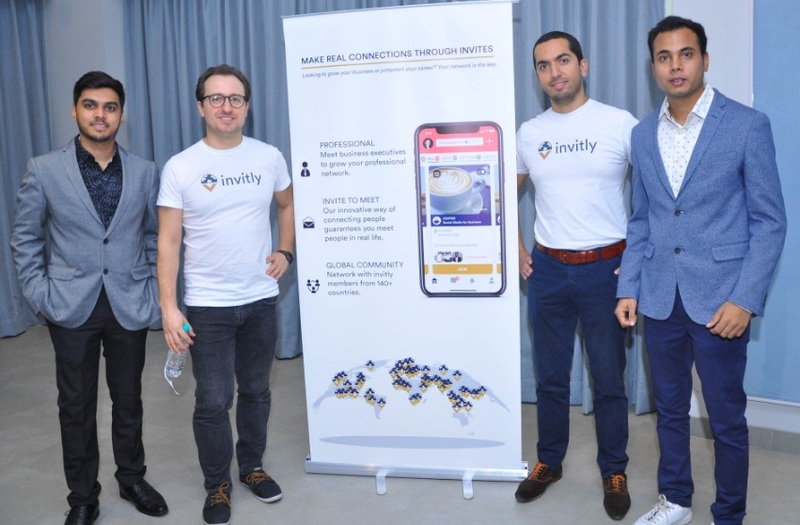 Invitly app founders by Alexander Bregman and Karim Benaissa and have expanded their operation in India. The app was born out of the need to make professional networking less daunting, accessible and enjoyable. Invitly app can be downloaded from Google Play Store and Apple's App Store freely. Once you downloaded and run the Invitly app, you would be able to see and invite up to 5 professionals in your proximity area such as relevant Professionals, Directors, CEO level, Startups, Freelancers, Technicians, Developers etc. for "Coffee" or "Lunch" or "Dinner" (as per your selection). This app will help you to keep in touch with like-minded people in real life for mutual business benefits. You can enjoy the "Coffee" or "Lunch" or "Dinner" with those group in your initial contact while discussing on new interest and an upcoming project. The Invitly app features as a friendly manner to use it effectively. We would continue to write about this app, very soon like how to download Invitly app, how to join the group that has already invited for a subject matter discussion and how to create a group and invite others for a particular topic discussion and project etc., so, stay tuned. Invitly app price: Though there are different plan from this app, it can be used free at the moment. Tips: If you are Freelancer, Tech, Individual and looking for like minded people to enrich your business then this app would help you to create a 'coffee' meet where you can get the same interest person on stated time and date to communicate in real life.